The biggest Latin American audio, video, lighting and special installation event arrives to it`s 20th edition in 2016. Placed in Expo Center Norte (Yellow Hall), in São Paulo, the show will be held in may 16, 17, 18 and 19. The show will present seminars and workshops extensive schedule held by the main professionals regarding subjects like Recording, Mixing, Live Sound, Install Sound, Law, Mastering and other. Besides that, companies such Harman, Yamaha, Avid, Quanta, Sennheiser, Proshows, Pride Music and many others (see the complete list in this website) will be exhibiting their technologies. 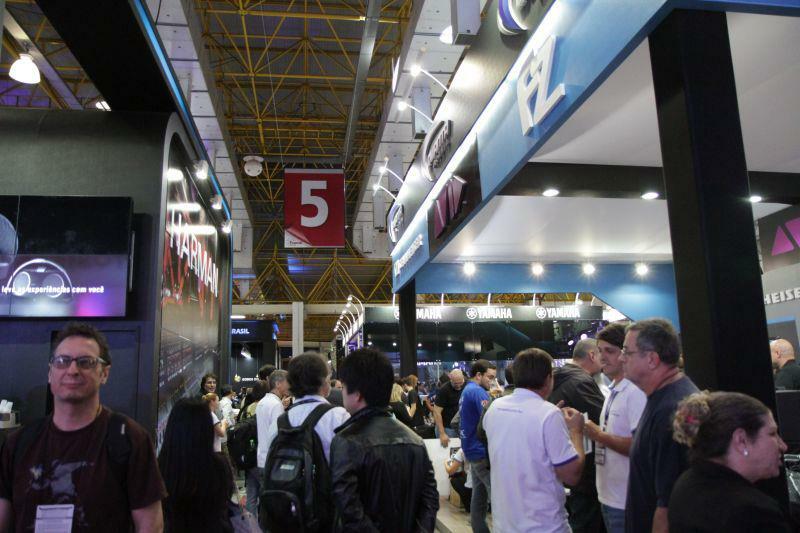 Organized by Francal Feiras, AES Brasil Expo will have more than 5.000 square meters. The Audio Engineering Congress arrives to it`s 14th edition in 2016. It is a consolidated forum for scientific disclosure and innovation in Brazil, gathering researchers and inventors in the engineering, computing, music and acoustics fields. Since 2003 the event publishes new research works made in Brazil and promotes the nacional and internacional articulation for work groups.